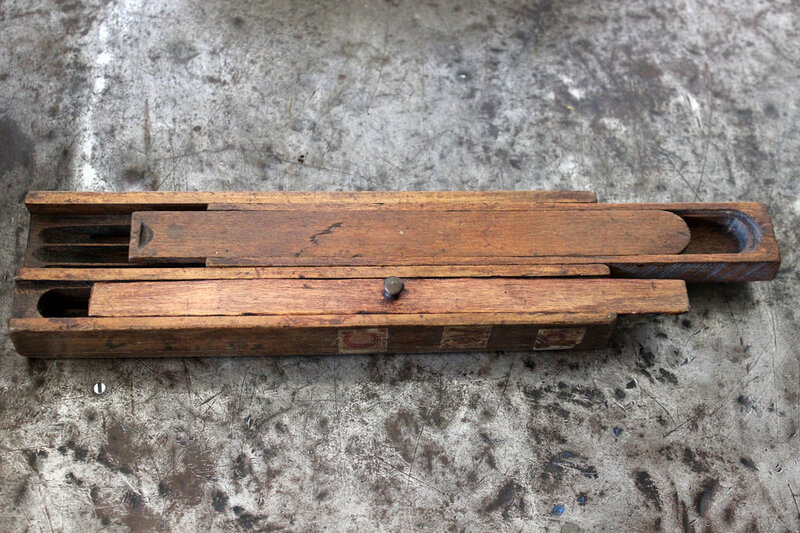 This wooden pencil case dates to the early part of the 20th century. Featuring three sliding compartments and a little brass knob. 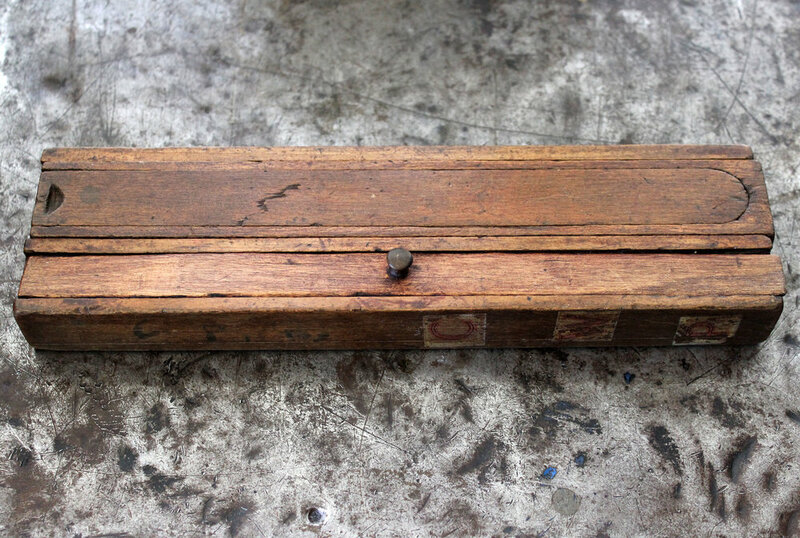 Sourced in England on one of our antiques buying adventures for our sister store, The Drill Hall Emporium.